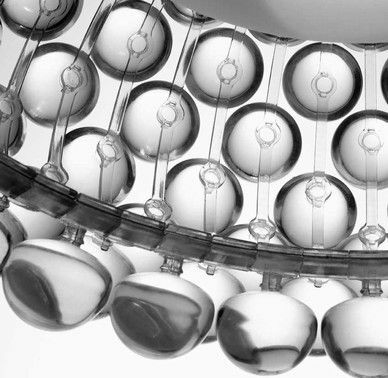 Sophisticated, brilliant, and multi-faceted, Caboche is a mosaic of refractions, a perfect fusion in a single form of separate facets that together make up the lamps body and luminosity. 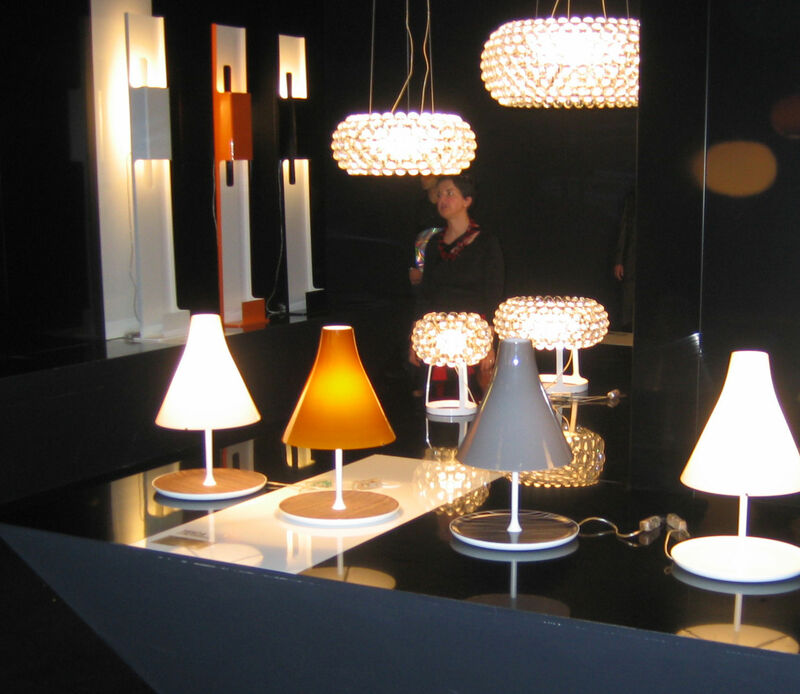 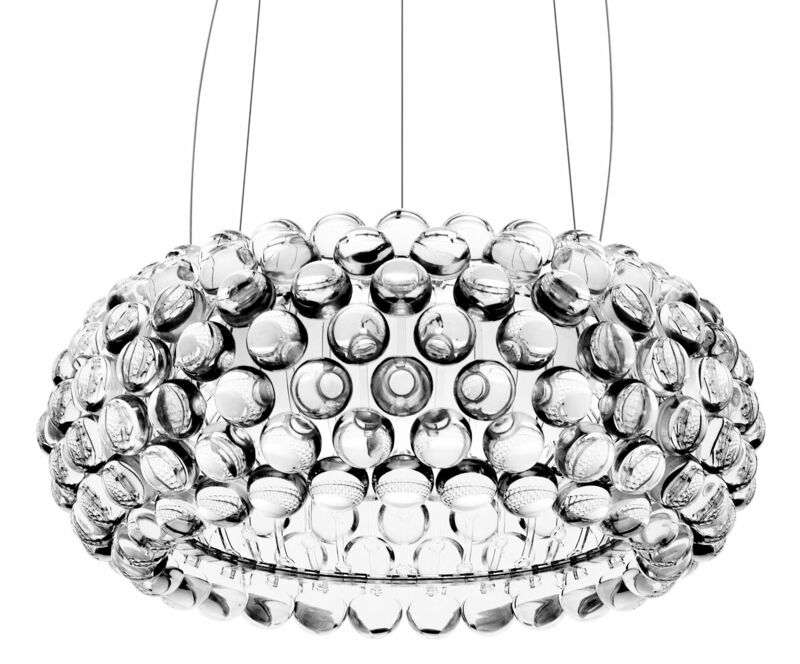 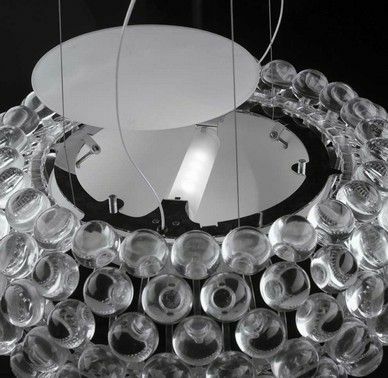 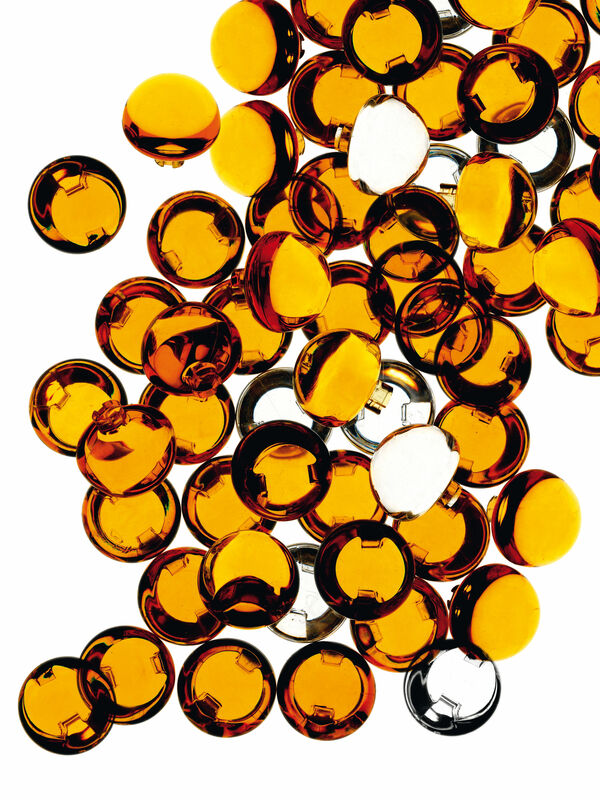 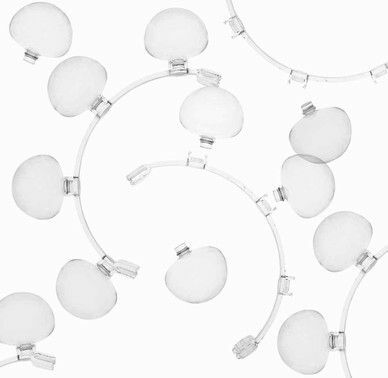 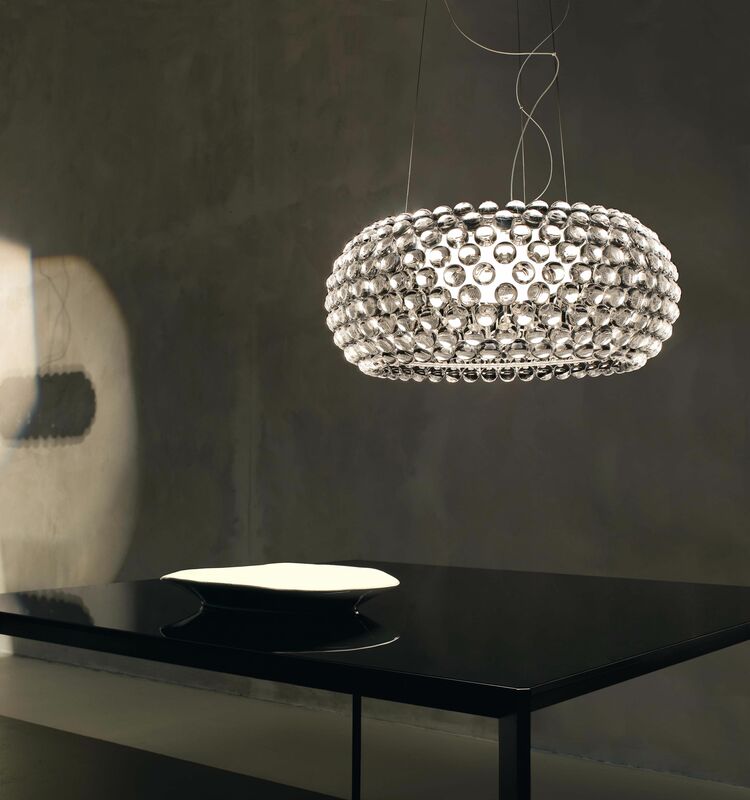 The transparent polymethylmetacrylate spheres amplify the luminosity of the light source and, in their characteristic ring arrangement, create a strong reflected light off the ceiling and a direct light onto the surface below. 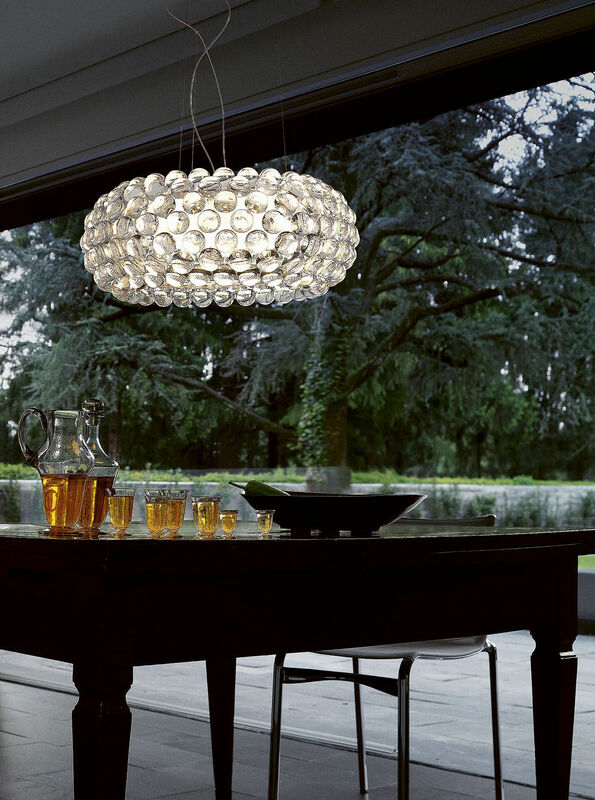 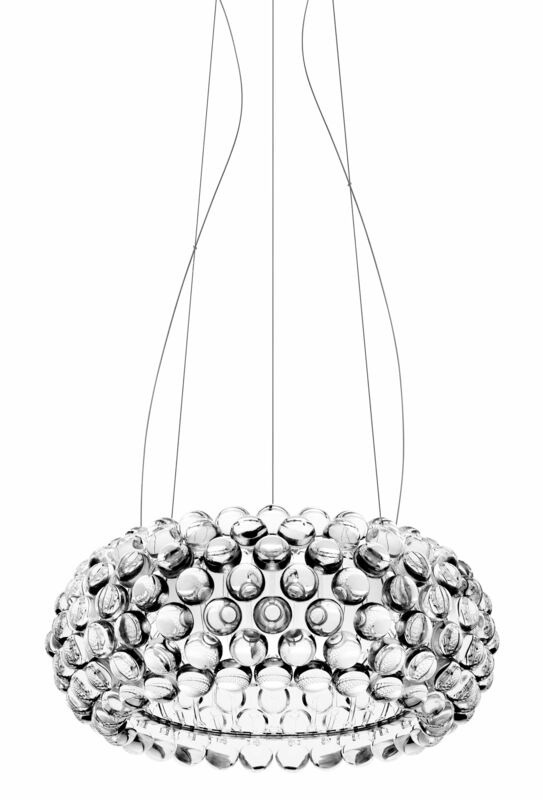 This light is a real statement, a modern day chandelier.